The Little Runner Girl: Friday Favorites! Happy Friday Everyone!! Look at me go! Day 2! Through my year of blog stalking, I noticed a lot of bloggers do their ‘Friday Favorites.’ So I’m going to jump on that bandwagon real fast and do that as well!! There’s some other fun link ups that I plan to join next week too! But for now, here is my first ‘Friday Favorites’ post! I’ll put these in their own tab this weekend, since these are my go-to favorites! -Favorite Blogs:—Most of them I found randomly on Instagram and found my way to their blog. I love reading blogs and these are my top 5 favorites! Saucony Hurricane Iso – This is the 1st shoe I was fitted for at my local running store and I keep going back! It has a roomy toe box, great support and response. Mizuno Wave Inspire 10 – I tend to use these for shorter runs, but ended up wearing these to run in for my 1st marathon. Pro Compression sock – Both the Marathon Sock and the low socks. I haven’t tried the mid one yet, but I have heard great things! Oiselle –Pretty much everything they put out, I will buy and I will love. I actually only wear Oiselle 90% of the time because it so comfy and well made. My favorites are the distance shorts , lesley tights, Katron jacket, and almost all tops and bras. We would be here all day if I gave a link to every item I love. There’s a lot. So take my word and head over to their website! If you have any questions about anything, please ask! Nuun Hydration – I use and buy this way too often. 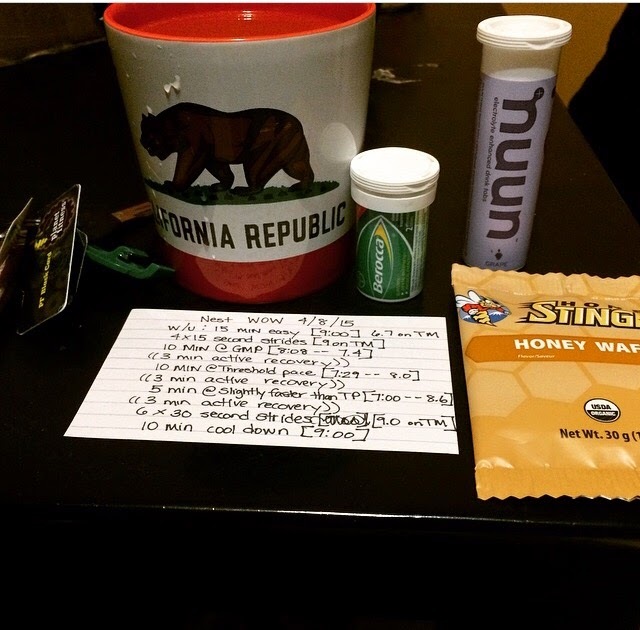 I drink one or 2 tabs throughout the day, and one during a workout or in a bottle for my long runs. Honey Stinger – I have a very sensitive stomach. The gels, waffles and chews have been great so far and I’ll use these for my marathon fuel for sure. 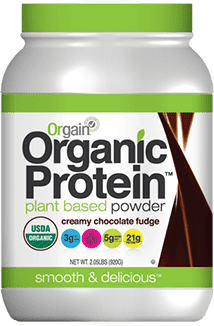 Orgain Protein Powder –This is the first natural and organic powder I found that isn’t gritty at all. I’ve tried a lot and this is by far my favorite! Stacks Espresso Bar— Okay, T owns this shop. But for reals, the cold brew (iced coffee) here is freaking to die for. I usually have it at the ready to add to my protein shake in the mornings after my workout. I also only use their grounds to make coffee Saturday mornings before my long run. I wouldn't put it on here if it was the best coffee I've ever had. Honestly. -Random favorites: Again, we would be here all day if I listed everything I'm thinking right now. So if you're really interested, check back on Fridays for more favorites. K? K.
What is your favorite piece of run gear? Do you have fun plans this weekend? My wedding shower is tomorrow and I cannot wait!